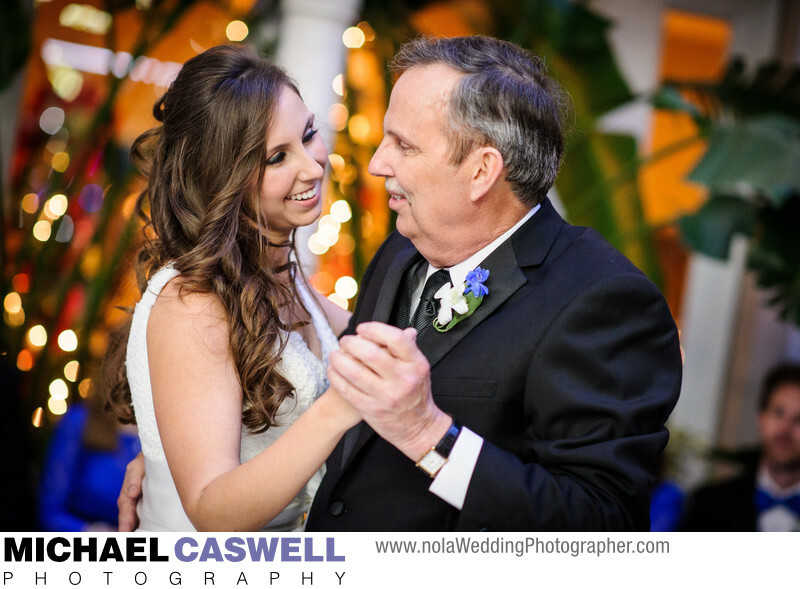 The bride's dance with her father is always a special moment during a reception. But it was particularly the case with this wedding reception at the Ritz-Carlton Hotel in New Orleans, as her father was terminally ill. She even scrambled to move her wedding up by 6 months (and ended up getting married on a Monday evening). Sadly, he did pass away about a year later, but I know the photographs I took that day will always bring back these fond memories for her, and serve as a reminder to me for how important my work is. Location: 921 Canal St, New Orleans, LA 70112.